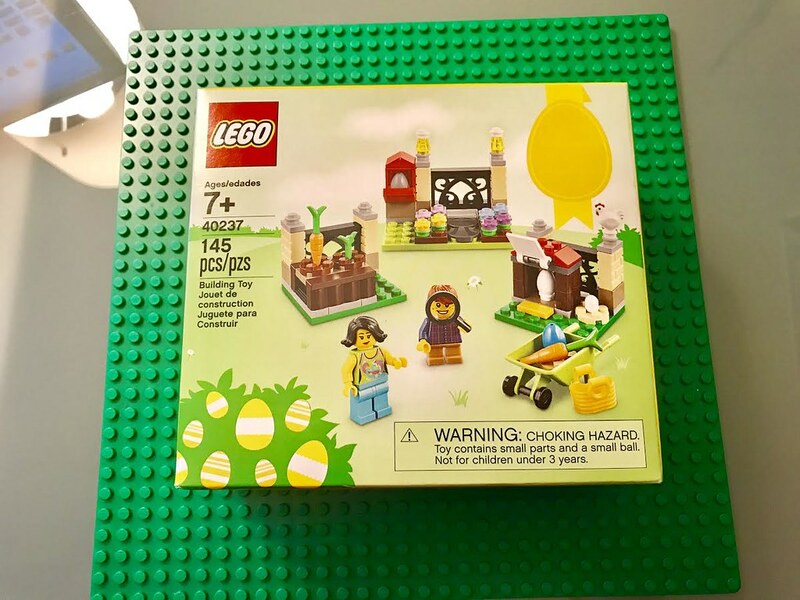 Today I am reviewing the most recent seasonal set LEGO 40237 Easter. It’s a little set, but it’s packed with cute and a great selection of parts. 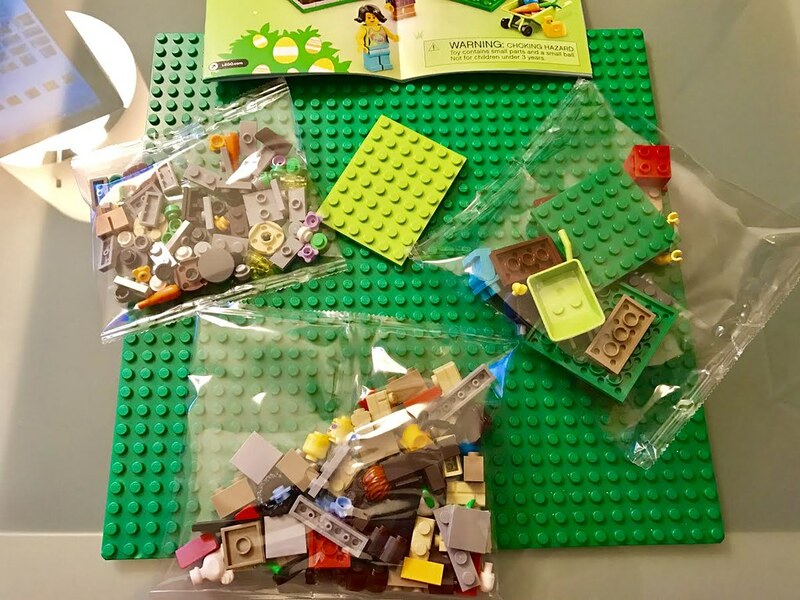 The LEGO pieces come in three bags, with a larger lime green plate all by itself. Here are some of the great parts I mentioned, and they come in decent quantities. 1 lime green wheelbarrow. I believe this is a new color for this part as well. 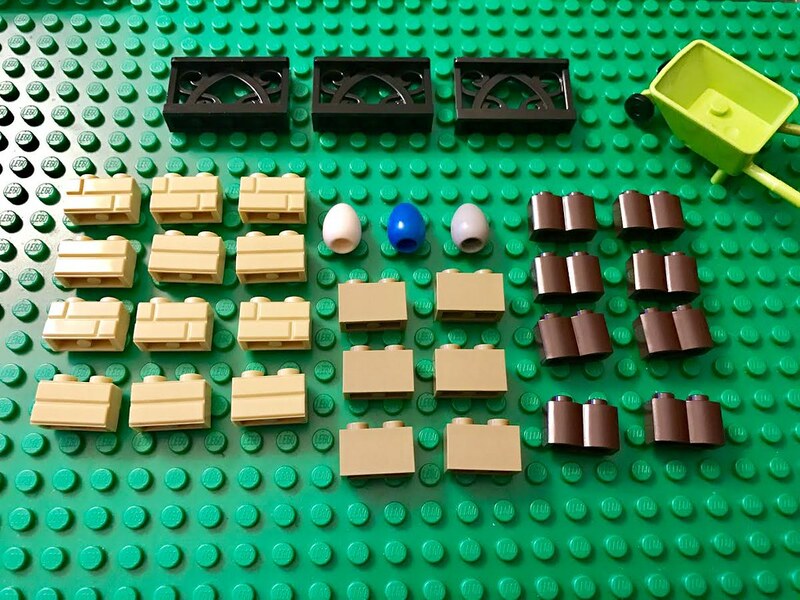 This set basically consists of three mini models in addition to the minifigures and the wheelbarrow. Each of the mini models has a cute play feature that hides an Easter egg. In one, the egg is hidden in the mailbox. In the middle one, it’s hidden in the chicken coop. (I forgot to mention the set comes with a chicken, too!) Lastly, the third egg is hidden under the carrots in the planter box. 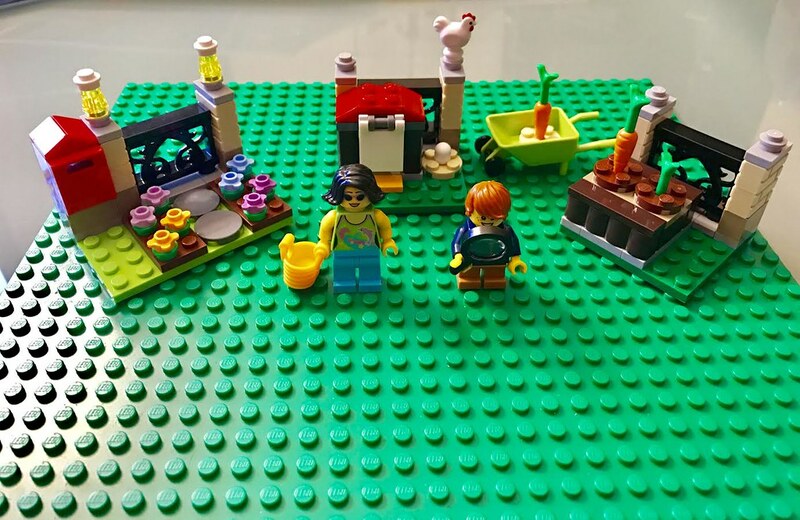 I believe this is the first seasonal LEGO set I actually built, and I’m glad I did. 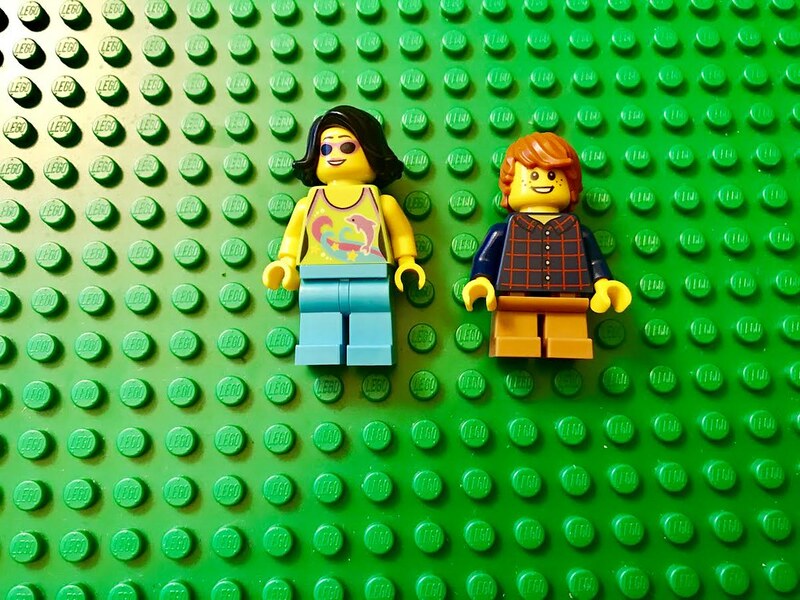 I think any fan of LEGO would really enjoy finding this in their Easter basket this year. It’s a great little set, and a good value, too. Interesting — this wheelbarrow uses a *pair* of wheels with an axle instead of the traditional single wheel (never saw a real wheelbarrow like that). I wonder if they retired the mold for that old wheel, or the tiny pins on the wheel just broke too often? Wow. Good eye! That didn’t even occur to me that the wheels changed. I actually have a wheelbarrow that uses two wheels and an axle.